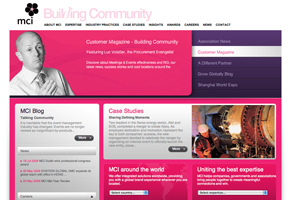 MCI is opening new offices in Sao Paulo and Rio de Janeiro in Brazil. MCI's Sao Paulo office will mainly focus on corporate clients in the healthcare sector, while MCI Rio de Janeiro will have a strong focus on the association sector. MCI founder and president Roger Tondeur said: "Sao Paulo and Rio de Janeiro host some of the leading companies' regional headquarters and several of MCI's institutional clients have expressed an interest to expand in Brazil." MCI (Brazil) managing director Ricardo Ferreira said: "Our ambition in Brazil is to be the leader in the meetings and events industry, and I believe this is the perfect timing for MCI to enter the Brazilian Market. Today our event market is mainly logistic driven, however, more and more companies need strategic partners to help them achieve event return on investment for their events."